Europe Countries Capitals Currencies: This article presents the list of Countries in Europe and their Capitals & Currencies. 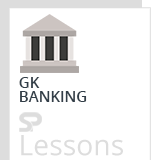 This article plays an important role in GA Section for many Banking and Competitive exams such as SBI PO, Clerk, IBPS PO, Clerk, RRB, RBI, SSC, UPSC etc. Below table contains the list of Europe Countries Capitals Currencies in the alphabetical order.